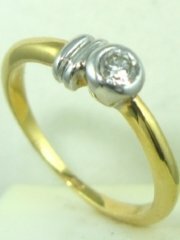 Small and contemporary desiged diamond ring, price without diamond. 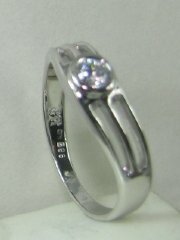 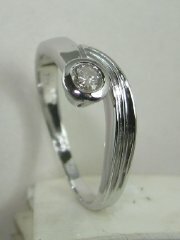 Lightly designed small diamond ring for wedding proposal, price without diamond. 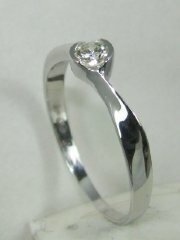 Classic design diamond solitare with two small stone on the side, price without diamond. 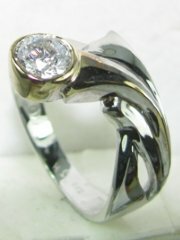 Clean look for diamond solitare fashion ring, price without diamond. 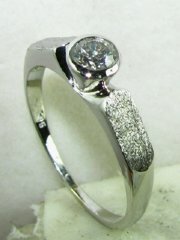 Designers diamond ring just for fun ' price including diamond. 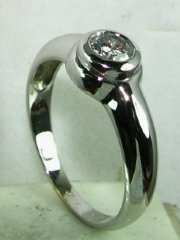 Simple design for light diamond ring' price without diamond. 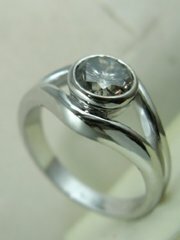 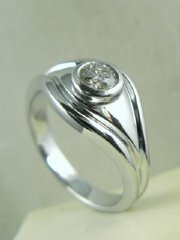 New fashion design for solitare diamond ring, price without diamond. 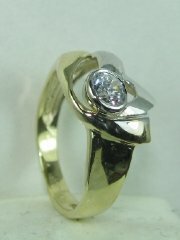 Delicate assymetric two color gold and diamond solitare ring, price without diamond. 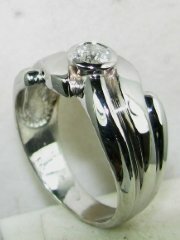 Very delicate solitare with diamond fast setting, price without diamond. 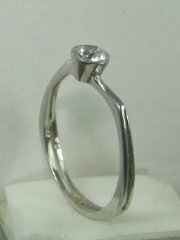 Designers choice for solitare diamond ring, price without diamond. 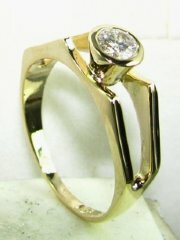 Gold and diamond solitare ring designed for comfort, price without diamond. 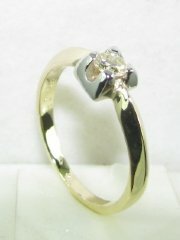 Delicately designed two color gold and diamond solitare ring, price without diamond. 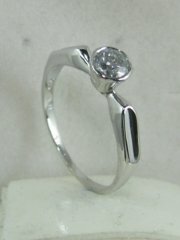 Solitare diamond ring stone set without prongs' price without center diamond. 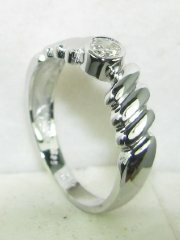 Daring asymetric design for fashion solitare diamond ring, price includes diamond. 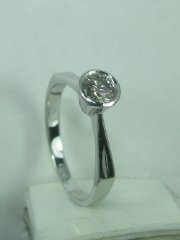 Delicate solitare designers diamond ring, price without diamond. 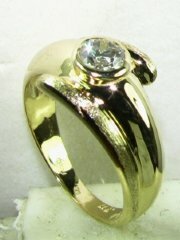 Outrageous asymetric two color gold fashion designers ring, price without diamond. 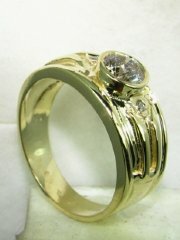 Big and yet light weight gold and diamond ring, price includes diamond. 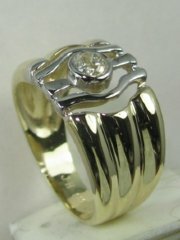 High fashion outrageous designers diamond ring two color gold, price without diamond.